THE DIVE CLUB - Bluewater Scuba - "Where Nashville Learns To Dive"
Bluewater Scuba is proud to announce the formation of Bluewater Dive Club. 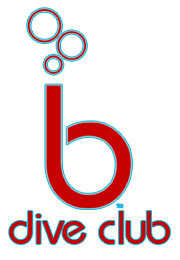 The goal of BDC is to provide a welcoming, fun, engaging environment for the dive community of Middle Tennessee where members not only develop and grow great relationships with other divers, but have the opportunity to grow their personal dive experience and be a part of something that matters. BDC will hold events to give back to our community and our planet as we strive to preserve great diving for generations to come. -- 15% discount tank/equipment rentals. -- Discount quarry tickets on official dive club dives. -- Additional retail discounts during monthly dive club events. -- Unlimited Referral Coupons to earn store credit when you recruit your friends to get certified or continue their training with Bluewater Scuba.